You know what every dog needs? A crocheted dog toy, that’s what! I figure everything else in my life is covered in yarn, why not let the pooches in on the fun too? This free dog toy crochet pattern is perfect for your furry friends. 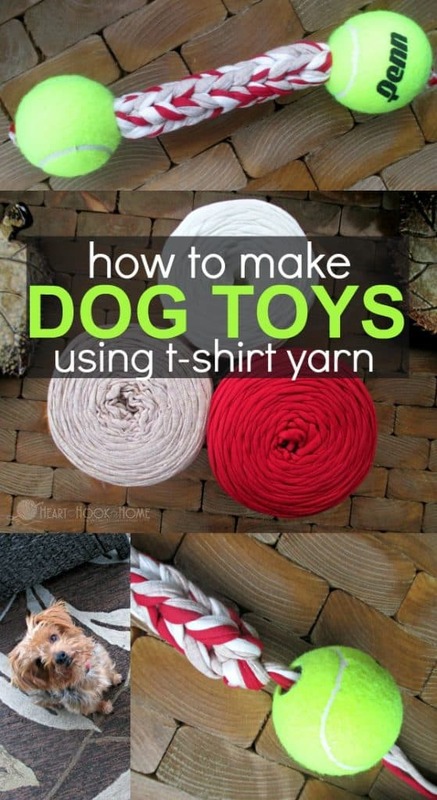 This free dog toy crochet pattern is so simple. 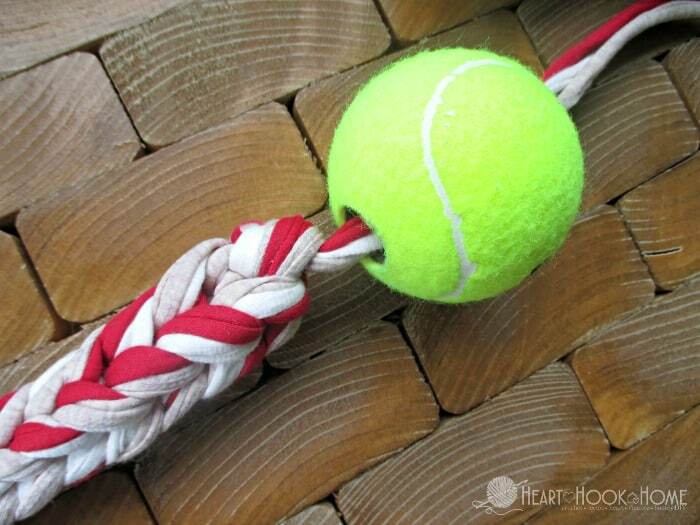 We’ll use three strands of t-shirt yarn to make a super tight i-cord, then bore out the sides of two tennis balls using paddle bits in order to shove them on the ends. 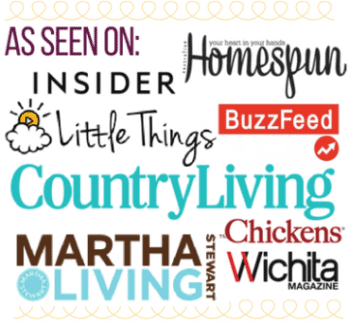 This project is super quick and super easy (if a bit of a workout). 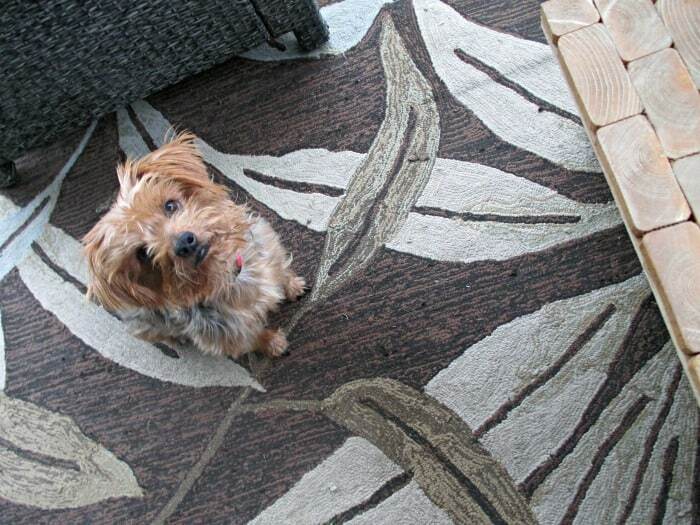 We gave our first attempt at a crocheted dog toy to our two little Yorkies – 12-pound Benson, a toy and ball aficionado who likes to bark at rocks (I wish I were kidding), and 4-pound Bentley, who would lick every inch of exposed flesh if given the opportunity – a few days to play with said dog toy before releasing the pattern. For days they fought over it, they chewed on it, they pinned it with their little paws as they gnawed on the end of it, I threw it across the yard more times than I can count and I am happy to report that the toy is still in (almost) perfect condition. 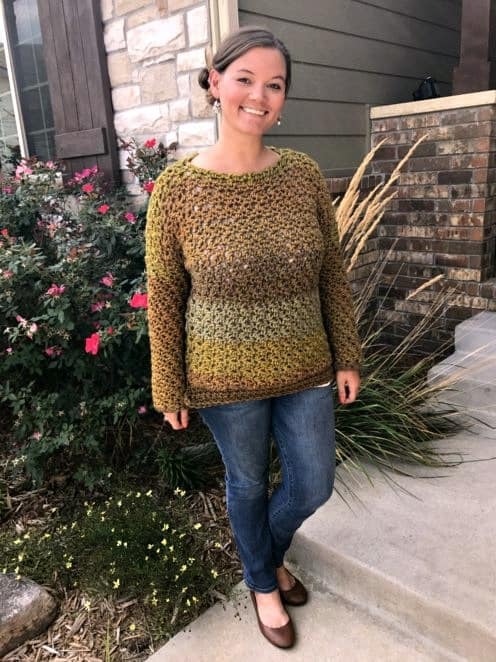 *three different colors or all the same – up to you! Rows 2 – desired length: Remove two loops from hook (photo #6, being careful not to lose them; I like to use a pencil to hold the place). Using remaining loop, ch-1. Insert hook into next (empty) loop, yarn over and pull up a loop (photo #7). Insert hook into last (empty) loop, yarn over and pull up a loop. 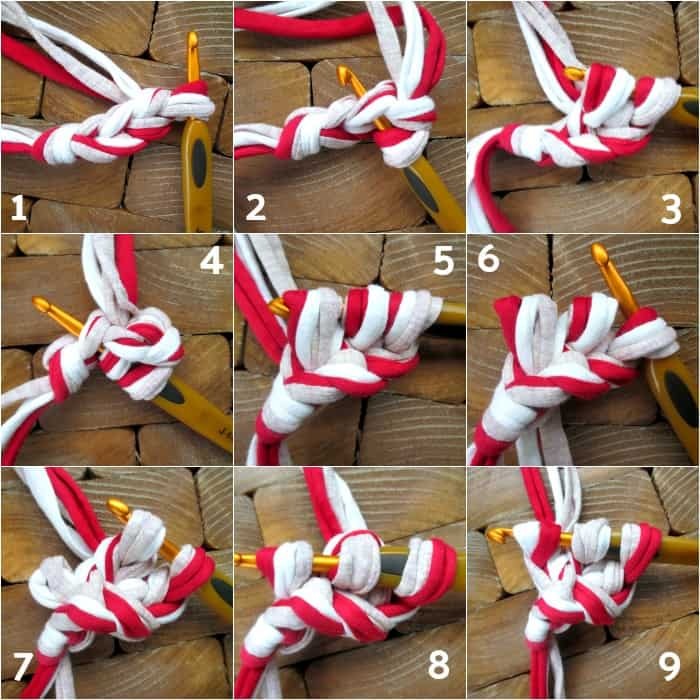 (3 loops on hook, photos #8 and #9). Continue creating rows in this manner until the rope is as long as you’d like (I did about 10″ for mine). I find it helpful to move the pencil up each row as I go, rotating as I make each stitch. 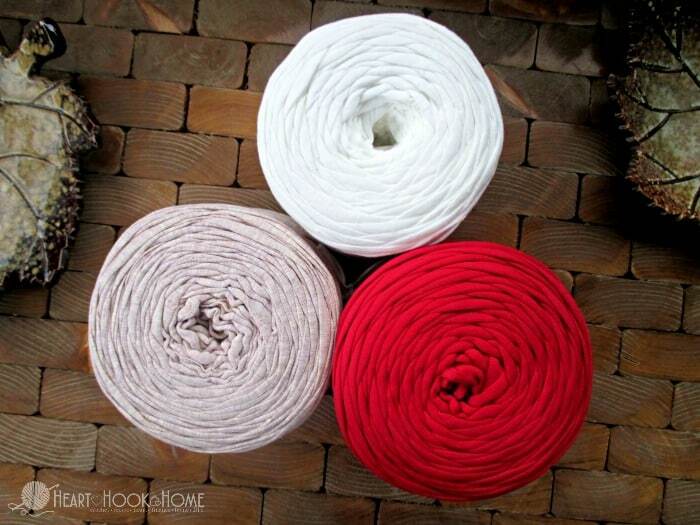 To end the rope: Yarn over and pull through all three loops on hook. Fasten off, you may want to leave a long tail for pulling/tying. 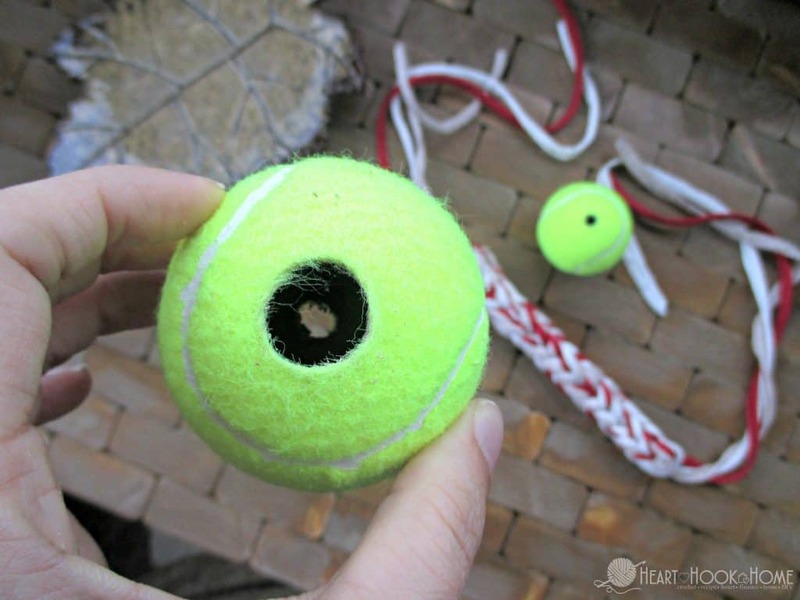 Using your paddle bits, drill two holes in your tennis balls: one side using the 3/8″ bit and the other side using the 3/4″ bit. My husband wielded the drill then I fed the yarn through, being sure that the larger hole was positioned toward the rope as pictured. 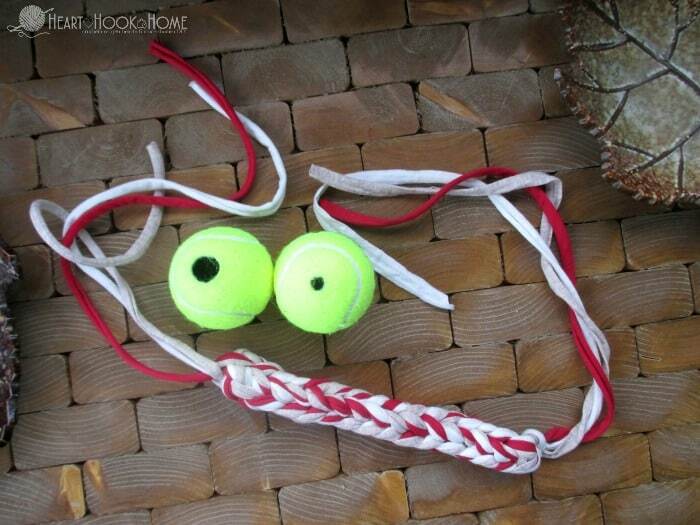 Next (and this may be a two-man operation) shove the tennis ball onto the ends of the rope with all your might. Paul pushed the rope into the ball as I pulled the yarn ends on the other side out of the ball. 1…2…3… HEAVE! 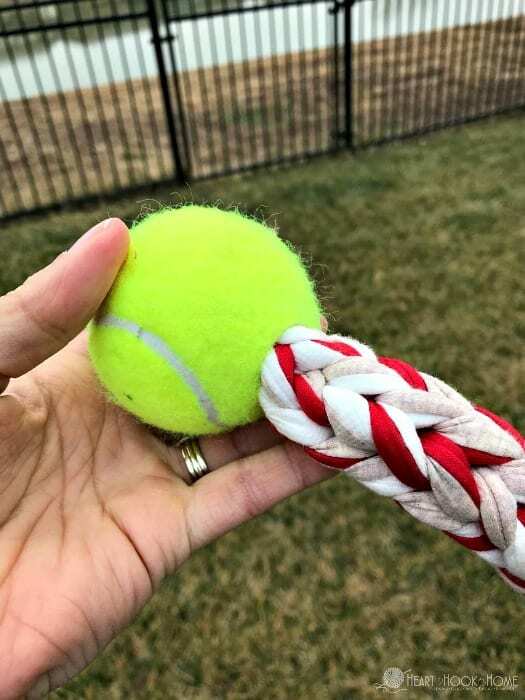 There’s no way these dogs can get that ball off by themselves, but I did tie a series of small knots on the outside just in case. I clipped those ends close, and they’ll probably chew on it (kinda the point though, right? ), but that ball still isn’t going anywhere. That is it! 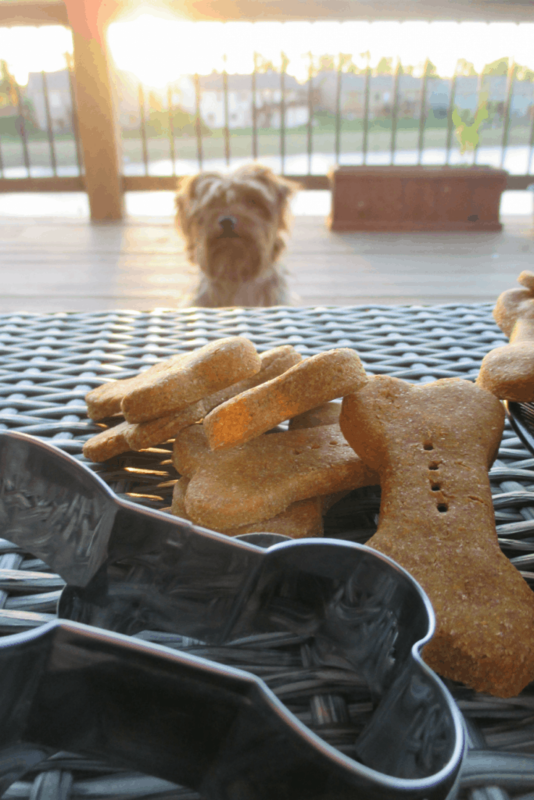 So much easier than I thought it would be, and I love how I can make my own dog toys when they need a new one, and without spending a fortune! When you make one using this dog toy crochet pattern, be sure to share a photo with me by tagging @HeartHookHome on Instagram and Twitter, and in the Heart Hook Home Crochet Community on Facebook! 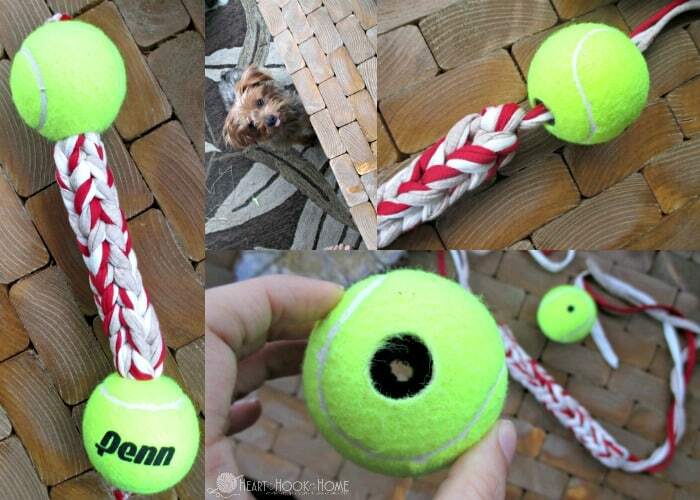 Did you love this dog toy crochet pattern? 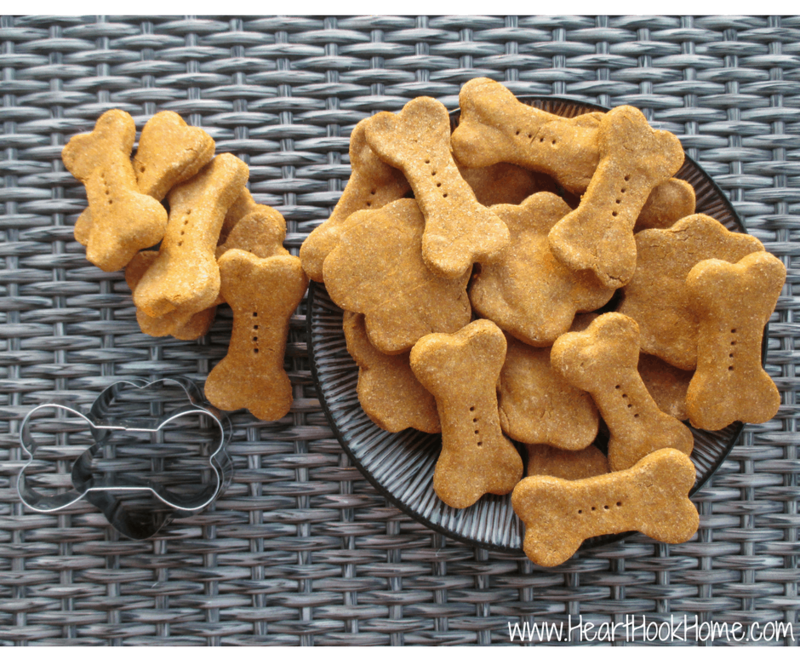 You’ll love these EASY Homemade Pumpkin Dog Biscuits!